Did you know that Python wasn’t originally built for Data Science? And yet today it’s one of the best languages for statistics, machine learning, and predictive analytics as well as simple data analytics tasks. How come? It’s an open-source language, and data professionals started creating tools for it to complete data tasks more efficiently. Here, I’ll introduce the most important Python libraries and packages that you have to know as a Data Scientist. In my previous article, I introduced the Python import statement and the most important modules from the Python Standard Library. In this one, I’ll focus on the libraries and packages that are not coming with Python 3 by default. At the end of the article, I’ll also show you how to get (download, install and import) them. Let’s see them one by one! Numpy will help you to manage multi-dimensional arrays very efficiently. Maybe you won’t do that directly, but since the concept is a crucial part of data science, many other libraries (well, almost all of them) are built on Numpy. 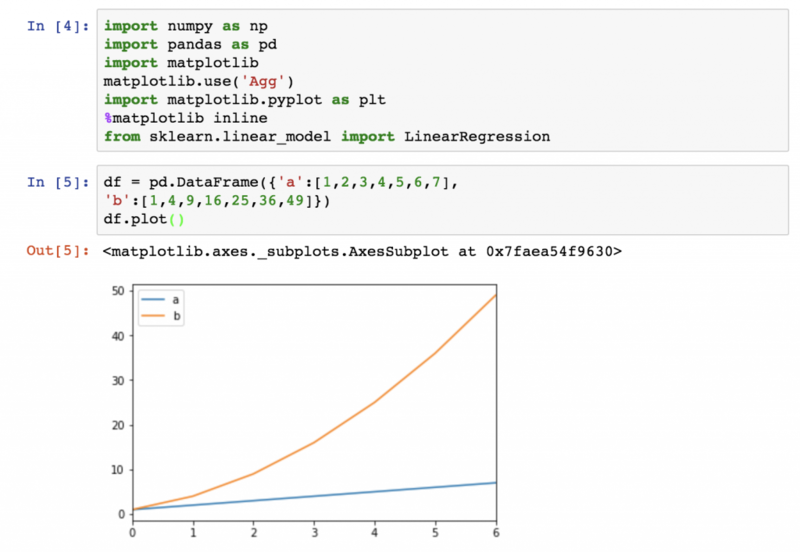 Simply put: without Numpy you won’t be able to use Pandas, Matplotlib, Scipy or Scikit-Learn. That’s why you need it on the first hand. To analyze data, we like to use two-dimensional tables – like in SQL and in Excel. Originally, Python didn’t have this feature. Weird, isn’t it? But that’s why Pandas is so important! I like to say, Pandas is the “SQL of Python.” (Eh, I can’t wait to see what I will get for this sentence in the comment section… ;-)) Okay, to be more precise: Pandas is the library that will help us to handle two-dimensional data tables in Python. In many senses it’s really similar to SQL, though. With pandas, you can load your data into data frames, you can select columns, filter for specific values, group by values, run functions (sum, mean, median, min, max, etc. ), merge dataframes and so on. You can also create multi-dimensional data-tables. That’s a common misunderstanding, so let me clarify: Pandas is not a predictive analytics or machine learning library. It was created for data analysis, data cleaning, data handling and data discovery… By the way, these are the necessary steps before you run machine learning projects, and that’s why you will need pandas for every scientific project, too. If you start with Python for Data Science and you learned the basics of Python, I recommend that you focus on learning Pandas next. These short article series of mine will help you: Pandas for Data Scientists. I hope I don’t have to detail why data visualization is important. Data visualization helps you to better understand your data, discover things that you wouldn’t discover in raw format and communicate your findings more efficiently to others. 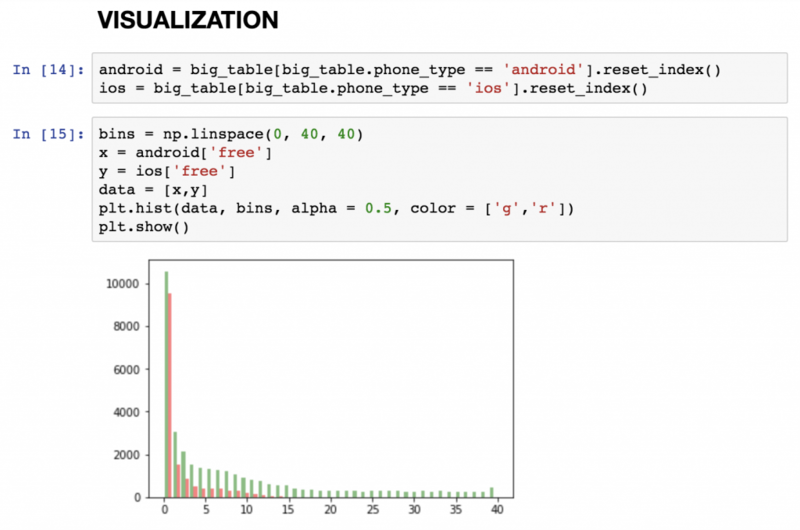 The best and most well-known Python data visualization library is Matplotlib. I wouldn’t say it’s easy to use… But usually if you save for yourself the 4 or 5 most commonly used code blocks for basic line charts and scatter plots, you can create your charts pretty fast. 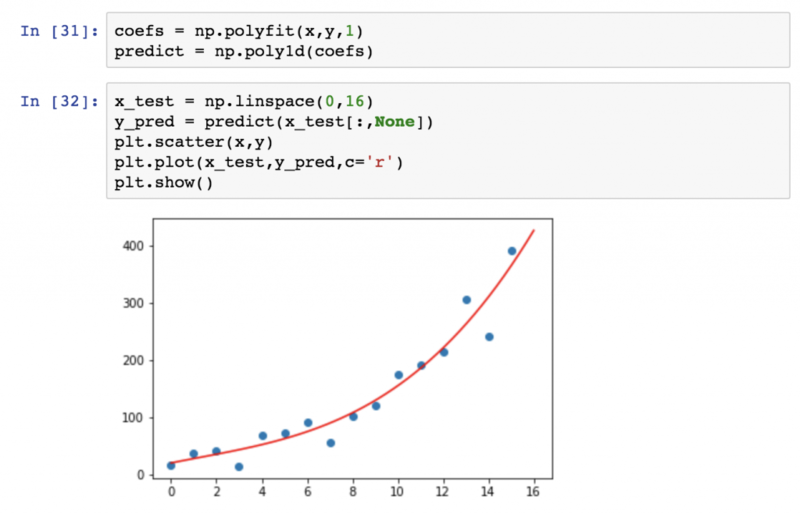 Here’s another article that introduces Matplotlib more in-depth: How to use matplotlib. Without any doubt the fanciest things in Python are Machine Learning and Predictive Analytics. And the best library for that is Scikit-Learn, which simply defines itself as “Machine Learning in Python.” Scikit-Learn has several methods, basically covering everything you might need in the first few years of your data career: regression methods, classification methods, and clustering, as well as model validation and model selection. You can also use it for dimensionality reduction and feature extraction. 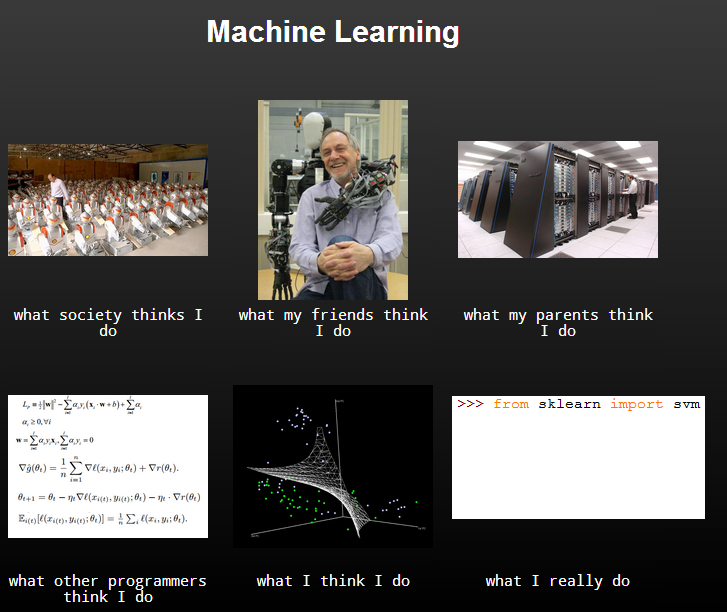 Note: You will see that machine learning with Scikit-Learn is nothing but importing the right modules and running the model fitting method of them… That’s not the challenging part – it’s rather the data cleaning, the data formatting, the data preparation, and finding the right input values and the right model. So before you start using Scikit-Learn, I suggest two things. First – as I already said – master your basic Python and pandas skills to become great at data preparation. Secondly, make sure you understand the theory and the mathematical background of the different prediction and classification models, so you know what happens with your data when you apply them. This is kind of confusing, but there is a Scipy library and there is a Scipy stack. Most of the libraries and packages I wrote about in this article are part of the Scipy stack (that is for scientific computing in Python). And one of these components is the Scipy library itself, which provides efficient solutions for numerical routines (the math stuff behind machine learning models). These are: integration, interpolation, optimization, etc. Just like Numpy, you most probably won’t use Scipy itself, but the above-mentioned Scikit-Learn library highly relies on it. Scipy provides the core mathematical methods to do the complex machine learning processes in Scikit-learn. That’s why you have to know it. What about image processing, natural language processing, deep learning, neural nets, etc.? Of course, there are numerous very cool Python libraries and packages for these, too. In this article, I won’t cover them because I think, for a start, it’s worth taking time to get familiar with the above mentioned five libraries. Once you get fluent with them, then and only then you can go ahead and expand your horizons with more specific data science libraries. How to get Pandas, Numpy, Matplotlib, Scikit-Learn and Scipy? Login to your data server! If you need detailed, step-by-step guidance with this setup process, check out my Install Python, R, SQL and bash – to practice Data Science and Coding! video course. Get them, learn them, use them and they will open a lot of new doors in your data science career! I am learning python and I want to become a data scientist and I had completed the python basics and learning numpy but my college teacher told me that firstly I had to learn Data Structure from C. Is it necessary to learn data structure for becoming data Scientist? Thanks Tomi! I set up a Digital Ocean droplet following your tutorial but I am wondering whether to install Miniconda on my Ubuntu droplet (not sure how to do this). Do you recommend installing Miniconda or just installing my Data Science libraries the way you have in this tutorial? I personally prefer the way I described it in my article — but the Miniconda-solution can work, too.